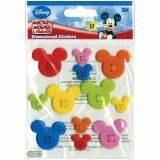 Disney Mickey Icon Adhesive Buttons - Bright colored buttons in the shape of mickey mouse heads! 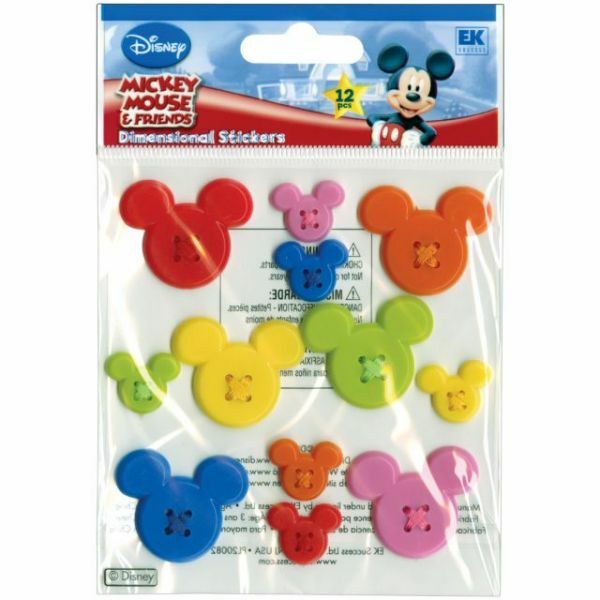 They are adhesive, so you can easily stick to any of your paper crafting projects! 6 large and 6 small.